Welcome to your messages page. 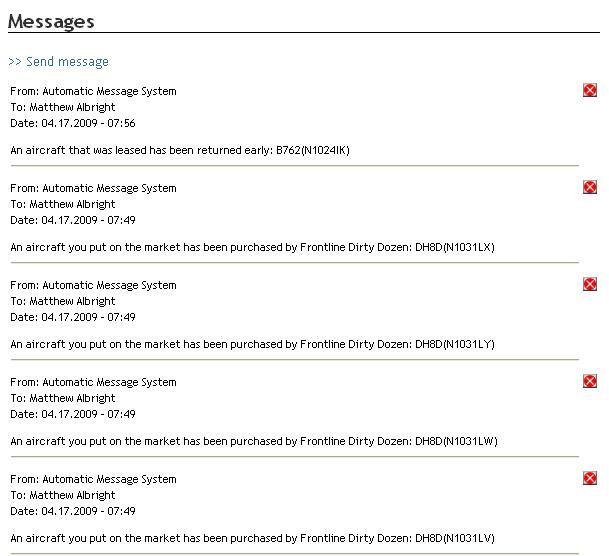 On your message page, you can view all the messages you have recieved from other members or the automatic messaging system. 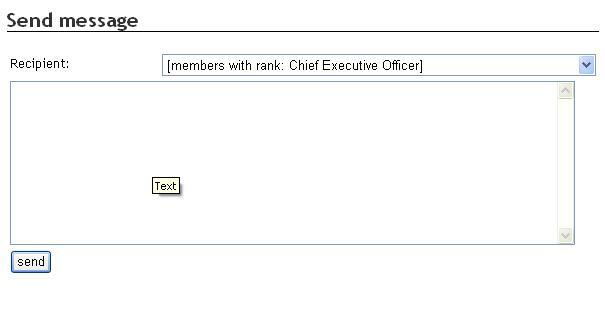 In the upper left hand corner of the message page, you can click on a button to send a message to a group of people based on rank or a single person. When you select this option when sending a message, it sends a message to everyone in your own VA with that rank. In order to delete a message, you must click the red X next to it. This deletes that message and must be done manually for each message.